Subtitle: Why it is awesome to live at home. Because my dad wakes me up with the loudest knock on my door ever (are the British invading or something?) 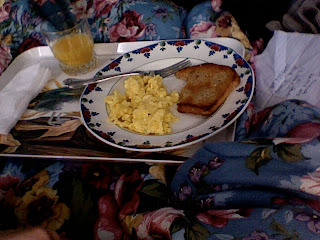 and he has made me breakfast!